I just uploaded a quick chart of the changes that the MBTA did to the Framingham Commuter Rail for todays winter recovery. The biggest change in the schedule is that there is no express train. 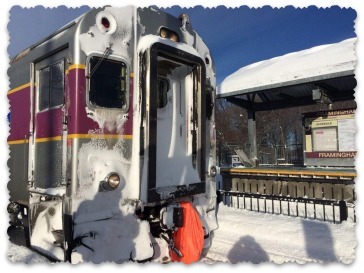 The MBTA says, "The Commuter Rail system will operate on a modified weekday schedule, making approximately 70% of the trips regularly scheduled. " According to the MBTA about 75% of the parking spots are available in the Framingham Commuter lot. I know for a fact that about 8 spaces were lost because of the recent plowing. Framingham still has a Parking ban, so if your not able to get a parking space in the lot, then your fresh out of luck. Also there is no parking along Pearl or Park Street. The town of Framingham will be towing on Wednesday. 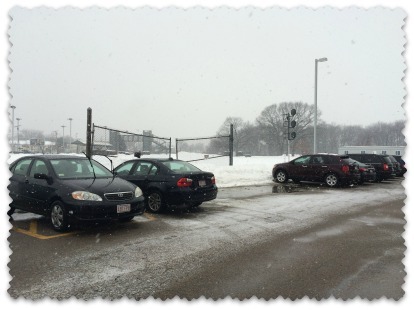 The MBTA parking lot in Framingham can handle 166 cars on any given day. Did you know that the lot can easily handle at least 5 more cars with very little effort. This is because in the middle of the parking lot there is a gate which allow construction trucks to an area of land between the parking lot and the station. There is no parking in front of that gate. The problem is that the MBTA doesn't use that entrance at all. This is because there is another entrance just outside of the parking lot which offers better access to the property. This leaves a large section of the parking lot to be empty everyday for no reason. In fact, the gates never get open in the winter because the plows create a pile in front of the gate preventing anyone from even opening up the gate. If LAZ Parking was to allow 5 cars to park in front of the gate they could easily collect an additional $25 a day or $500 a month. They would simply have to take down the signs and put parking lines in. Having five spaces isn't a lot, but it can certainly help people on those very busy commuting days when your face with uncertainty when the lot is full. One thing is for sure, those five spaces will make a difference for those five commuters. Should the MBTA actually need to use the gate, they could put cones up to prevent people from parking in front of the gate. However, I have never seen the gates open in the past 3 years that I have taken the train. Recently the Boston area was hit hard with several snow storms. Within a ten day period, the Boston area has received a record amount of snow. This has caused a lot of delays on the roads and with public transportation. The MBTA Commuter rail has seen significant delays that has results warnings from the MBTA to expect delays. Under the eight-year contract started in 2014 with the MBTA, Keolis is fined at least $250 for every train that is later than five minutes, or at least $500 for late trains during peak hours. A train later than 40 minutes can cost Keolis $2,500, or $5,000 during peak hours. Keolis is the largest private sector French transport group. It runs passenger railways, tramways, bus networks, funiculars, trolley buses, and airport services. During the past couple of weeks the MBTA and Town of Framingham have been busy with a nice upgrade to the Framingham MBTA Commuter lot located at the end of Franklin Street. The construction crew have been building a new parking lot exit which will allow commuters the ability to leave the lot on the corner of Park and Pearl Street. This exit will alleviate some of the downtown traffic congestion as commuters will no longer have to use the one way exit directing all traffic to Concord Street. Seasonal commuters know about going around the one way street by cutting through the TD BankNorth parking lot. However, this isn't always reliable option since the cut through requires going behind the Inn near the train station. The "hack way" can be very icy in the winter time. The MBTA hasn't announced the date on when the new parking lot exit will be open. Are there tennis courts with lights in town? How late do the lights stay on at Bowditch for track and tennis? There are lighted tennis courts at Bowditch Field and at Framingham High School. The lights are on, weather permitting, until 10:30 pm. They are activated by pushing a button at the court. This is my first attempt to embed SoundCloud into the Blog, if it's a hit, I'll upload more practical audio clips. Last week we encountered a serious issue when our central air unit stop working in the midst of a heat wave, we were not getting any cold air. This has happened on and off over the past few years and each time we needed to add Freon and presto we had cold air. We have an old York Central Air Compressor and we know that it needs replacing. The unit looks very old and we are pretty sure that having a new unit would be a money saver, unfortunately we have had several major expenses happen in a short time. This wouldn't be a good time to replace the air compressor. We called a local company, Coan in Natick and asked them to come out and take a look at the unit, we told them upfront that we thought we just needed a recharge of Freon. We were delighted that they were able to come out the same day to look at it. They said that they would be there between 10 and 1. The service man arrived at noon time and first checked the furnace downstairs and determined that it was working fine. He then went outside to the back of the house and took a look at the compressor. He took apart part of the unit and was investigating some of the components. After a few minutes of investigating he told me that the compressor unit wasn't working and that it needed replacement. It wasn't starting up correctly, possibly because of overheating. He suggested that we turn off the unit for at least 24 hours and see if the unit comes back on. He advised that if the unit did come back on correctly, that we contact Coan Repair and someone would come out and put freon in the compressor, if needed. At this time we asked about how much it would cost to replace the unit. The service person told me that I would have to contact a sales person at Coan for replacement. We kept the unit off for almost 24 hours and restarted it the next morning. The unit started up fine, as the fan was running like it was before, but there wasn't any of the normal noise. We also notice that there was no cold air coming through the vents. We decided to shut it down and start investigating to replace the unit. We contacted a sales associate at Coan and they came out the same day. They looked at the outdoor unit and offered a couple of potential solutions to replace our unit. He said that based on our current setup that it was a small job and that they could probably fit it in their schedule. The sales person said that they would go back to the office and send us a quote in the mail. While we waited to hear from Coan, we got a space Air Conditioner from a friend. We then talked to our neighbor about the situation and they told us about a company that they used and suggested that we talk to them about replacing the unit, Ashland Air. A service person came to the house while we were at work, and was able to look at the machine the same day. They identified that the issue was with a broken part and was able to fix it on the spot. He was able to turn the unit on and validate that the unit was working correctly. When we called him later in the day, he told us to turn on the central air in the house and everything should be working fine. When we got home we turned on the unit and everything was working fine! We felt cold air and by the morning the entire house was at the same temperature. At least for now, the issue appears to be fixed. We are still going to investigate replacing the unit as there are currently a lot of tax incentives and rebates available through Mass Save. Commuter rail trains on the Framingham-Worcester line have been ordered to slow down a bit because of the hot weather, the Massachusetts Bay Commuter Rail Company announced. Heat-induced speed restrictions are expected to cause delays of 10 to 15 minutes between 1 and 7 p.m. on Wednesday, MBCR officials said in an text advisory to customers. This slowness caused my commute time from Back Bay to Framingham to be 80 minutes long. Normally it takes only 45 minutes, via express train, to travel the same distance. 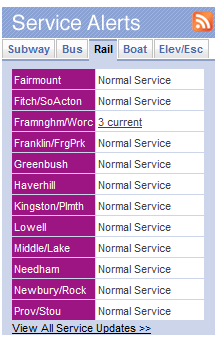 If you look at the Service Alert graphic you'll see that Framingham/Worcester line is the only one that has any Heat-induced speed restrictions. No comment from the MBTA on why the Heat-induced speed restrictions only applies to the Worcester/Framingham line. Thanks to Xfinity Wifi Hotspots, there is Wifi available at the Commuter Rail Platform in Framingham and Natick. If you have Comcast as your home internet provider, you can tap into the open Wifi networks that is available near these stations. The signal strength is very strong when standing on the platform. You should use the WiFi access instead of the cellular access so that you don't have to use any of your minutes while waiting for a train. 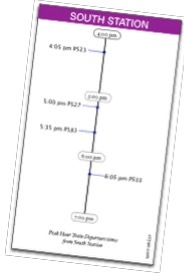 When you set this up on the phone, it will automatically connect to the Xfinity Wifi hotspot when you arrive at the station. You only need to set this up once to get connected. Comcast is currently advertising that there are hundreds of hotspots around in New England. There are hotspots on Cape Cod and the Islands, in all over a million hotspots in the United States. All of these hotspots are free to use for any Comcast subscriber. For additional information about Xfinity WiFi hotspots, download the XFINITY WiFi app. If you have a house in the Framingham area that is under light threat for any basement flooding you should know about the National Weather Service Advanced Hydrologic Prediction Service of the Sudbury river at Saxonville. This is a really good website that you can use to benchmark the current water table. Note: I say "light threat" because if you have a basement that frequently floods you should have a stump pump that is adequate enough to pump water faster than what comes in. I use the "National Weather Service Advanced Hydrologic Prediction Service" site to determine if I should be worried about any upcoming flooding threat. While the Sudbury River in Saxonville is miles away from the house, it has been a good indicator of what the water table is in the area. 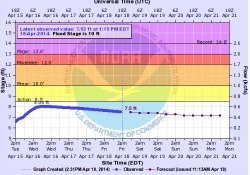 That is if there is threat of moderate threat of flooding, I should be concern about my basement. I have learned that living near Shore Road in Wayland and Pelham Island Road do frequently flood out.